Do you need to test more complex devices? Here is where you can add those capabilities without breaking your budget. Open Source Hardware. Create your own test resource at the DUT. Expand Your Tester Capabilities Now. On Time-On Budget, ROI. Today’s high speed, high pin count devices need the capabilities offered by the new ATS digital option. Make the smart choice and upgrade to the new ATS digital option with 120MHz pattern rate by 16Meg deep. Significant test throughput improvements are achievable by implementing multi-site test strategies. All ATS Test Systems have multi-site capabilities (up to 8 sites) that will work with any Handler or Prober. GPIB, RS232, and parallel interfaces are included with every tester. All the right choices to solve unique testing challenges. 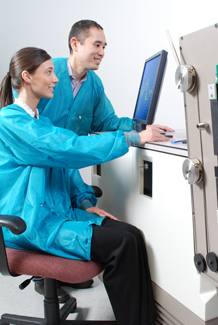 The Programmable Test Head (PTH) offers a large selection of stimulus and measurement options that significantly reduce the complexity of Test Fixture design.